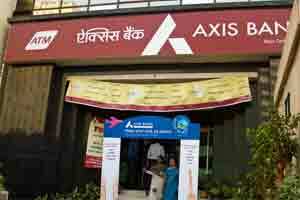 Mumbai: Axis Bank is "closely monitoring" its exposure to infrastructure projects, a senior official said, joining other banks that have turned cautious amid a slowdown in the sector. India has been beset by policy gridlock over the past year as a spree of corruption scandals has put the government on the back foot, slowing reforms. Big-ticket projects have been delayed awaiting environmental clearances or access to coal. "Our exposure to infrastructure is well within prudential levels set up by the bank and exposures are being closely monitored," he said. Rising interest rates, high inflation and worsening global conditions are also dragging down near-term business sentiment. Last week, the chief executive officer (CEO) of India’s second biggest lender ICICI Bank told the news agency the bank was being selective in lending to real estate and power projects. Larsen & Toubro, India’s biggest engineering conglomerate, is targeting overseas revenue growth as part of a strategy to beat a slowdown in Asia’s third-largest economy. "Over the last few months, there has been a slowdown in new project financing requests on account of policy uncertainty and volatility in offshore and local markets," Srinivasan said. At 11:44 am, shares of Axis Bank, valued at $7.66 billion, were trading 2.11% higher at ₹ 987.65 in a firm Mumbai market. The bank’s shares have dropped more than 28% this year. The banking index has fallen 27% in 2011.